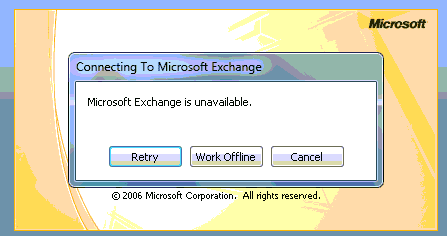 This error is displayed when you have connected an Outlook 2007 client via Autodiscover to a Hosted Exchange Server but when you open Outlook 2007 either or both of the errors are displayed. 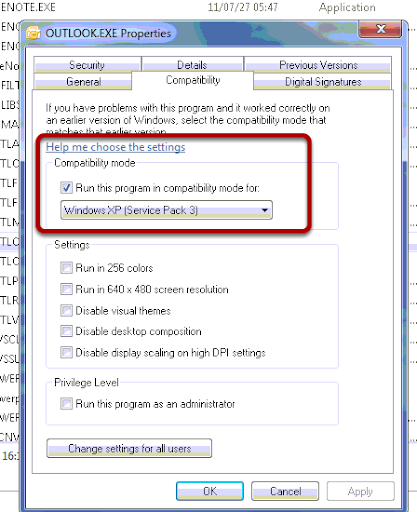 The problem is caused by running Outlook 2007 in compatability mode. You see this error when Outlook is in non cached mode. You see this error when Outlook is in cached mode. 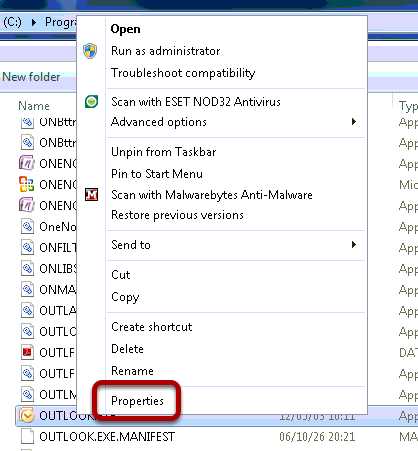 Browse to the location c:\program files\Microsoft Office\office12 and find the Outlook.exe file, right click and choose properties. 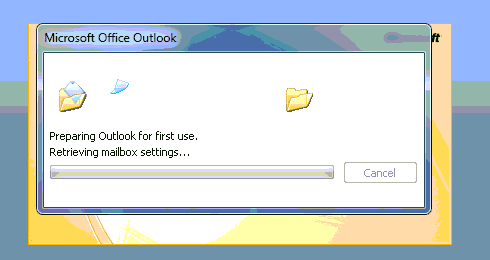 The problem is being caused because Outlook is running in Compatability mode for Windows XP SP3. This setting needs to be deselected. Now when you open Outlook it will connect normally.